The Law Offices of Robert B. Mobasseri is a dedicated RV Lemon Law Attorney in Los Angeles serving all of California from San Diego to San Francisco as well as wherever your RV or Motor Home may have taken you. From exploring the back roads of California, to living in your Motor Home on a daily basis, being able to count on your RV performing properly is essential to your security and peace of mind. Our firm knows how difficult it is to pursue a lemon RV, Recreational Vehicle, Motor Home or Coach under the Lemon Law and we are able to quickly and effectively help you resolve your claim not matter where in California you may be. Call us now at 213-282-2000 or fill out our free RV Lemon Law History Form and one of our experienced Lemon Law Attorneys will call you back shortly to discuss your case! In addition to our firm’s experienced Lemon Law Attorneys, The Law Offices of Robert B. Mobasseri also has an in-house research and development department staffed with specialists from the automotive industry familiar with exactly what to look for in a Lemon Recreational Vehicle, RV or Motor Home. Through experience, our firm knows exactly which components of a Motor Home or RV a judge will recognize under California Lemon Law as being a vehicle and which components need to separated and pursued as consumer goods. By preparing every demand letter, complaint and pleading accordingly, the manufacturers and dealerships of these Lemon RVs, Recreational Vehicles, Motor Homes or Coaches are able to quickly identify that the Law Offices of Robert Mobasseri is a genuine RV/Motor Home law firm. For you, this means less games are likely to be played than with other firms as well as faster settlements and just compensation for your Lemon RV or Motor Home. In choosing our firm, you may rest assured that nothing will be overlooked. Your vehicle’s work orders, repair orders and history will be scrutinized through our technical department and then cross analyzed by an experienced RV Lemon Law Attorney against both the California Lemon Law and the Federal Lemon Law to prepare your complaint. While demand letters outlining your case will be sent out to the manufactures of any warranties not in compliance requesting immediate compensation, our firm prepares to file a lawsuit in the event that you aren’t promptly offered a fair cash settlement or to have your Lemon Coach, RV or Motor Home replaced or repurchased. Should you find yourself unable to get any warranty work or assistance from the manufacturer of your RV, Recreational Vehicle, Motor Home or Coach because they have recently filed bankruptcy; then don’t hesitate to give our firm a call as we have the knowledge and experience to aggressively pursue the bank that holds your loan under Federal Law. 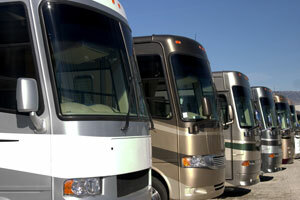 Need a knowledgeable RV Lemon Law or RV Dealer Fraud attorney? Please fill out our RV Lemon Law/Auto Fraud Contact Form Today!